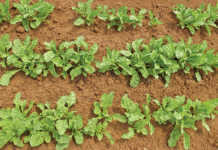 Young, soft seedlings such as these are only suitable for planting in ideal conditions. Unfortunately, many farmers do not fully understand what is required in either case. A large seedling grower I visited in Florida in the US produced seedlings according to the specific requirements of individual farmers. 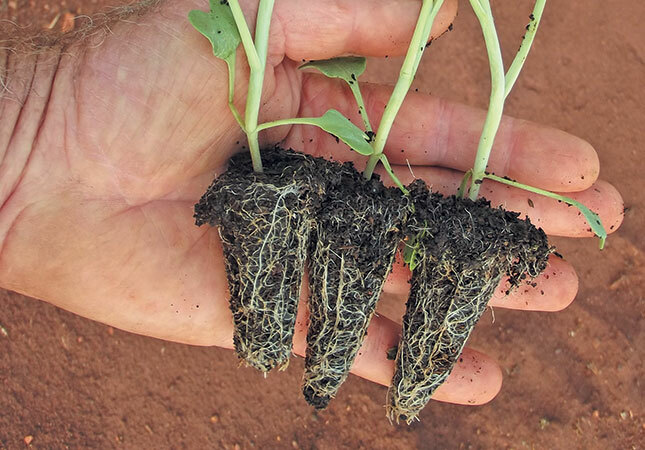 These farmers knew exactly what type of seedling would produce the best results for them. The lesson is clear: establish a good relationship with your seedling producer, and communicate openly and frequently with him. I’ve known farmers who have started buying from another grower while their first supplier remained blissfully unaware of their client’s increasing dissatisfaction with the products. Of course, it’s also up to the seedling grower to visit his clients regularly to discuss any difficulties the farmer may have with getting a good stand or initial uniform growth. A seedling grower once asked me to visit a farmer who had complained that many plants were not growing and blamed the grower for giving him root-bound plants. The grower knew this was not the case, and wanted me to act as an impartial adjudicator in the dispute. When I visited the farmer, I noticed that the seedlings in many parts of the land had not grown roots much beyond the seedling plugs. Yet plants alongside these were normal. Speaking to the farmer, I found out that he always applied his nitrogen as urea well below the seedling depth. He had done this successfully every season, he said, so why were things different this year? He laid the blame squarely on the seedlings. 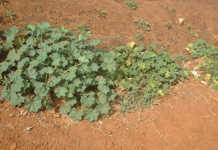 It turned out that the seedlings had been hardened for the farm’s conditions by having nitrogen withheld in the nursery. However, just after transplanting that year, unusually heavy rain had fallen. This was a dry area and the soil was sandy. Nitrogen at transplant depth in the sandy soil leached into deeper layers. Neither leaves nor roots can grow without nitrogen. Those plants that had just enough nitrogen close to the seedling plug could send down roots to reach the layer of applied nitrogen and flourish. I advise farmers to dissolve a handful (50g) of LAN in 8l to 10l of water and apply it to 1 000 to 1 200 seedlings just before transplanting. This will ensure that all the plants have enough nitrogen within reach to get them off to a quick start. This is a cheap way of getting your crop off to a flying start. 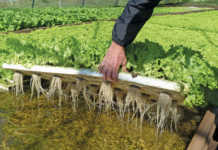 The nitrogen is available immediately in nitrate form and the unleachable ammonia form is held in reserve – to become available to the plants a little later. Fellow columnist Mike Cordes stresses the need for a ‘trust relationship’ between farmer and market agent. The same should apply to farmer and seedling grower. The farmer should seek advice on varieties and culture from the grower, and the latter must find out if the farmer is satisfied with the seedlings and whether he can improve them. Open communication is the key to making all this happen.